One of the most exciting things when moving to a new place is making friends in the most unexpected ways. At the beginning of the semester, I was asked to be part of an international student focus group at UQ and didn’t imagine that one of my best friends would be among the participants. As we were discussing issues on admission, curriculum, and housing, one participant and I shared similar viewpoints. Her name is Sara and she is from Norway! 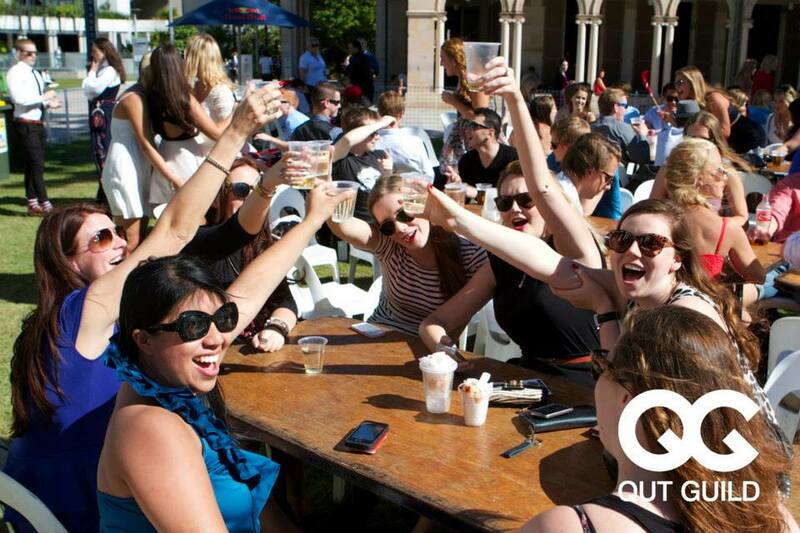 It just so happens that her sister, Vilde is also studying abroad here in Brisbane this semester at QUT. May 17 is a very special day for Sara and Vilde because it is Norway Constitution Day or the National Day of Norway. The Constitution of Norway was signed on May 17, 1814 which declared Norway to be an independent nation! A huge aspect of this day are the children’s parades where everyone waves Norwegian flag and sings the national anthem. People also wear red, white, and blue ribbons and/or their traditional outfits, called bunad. 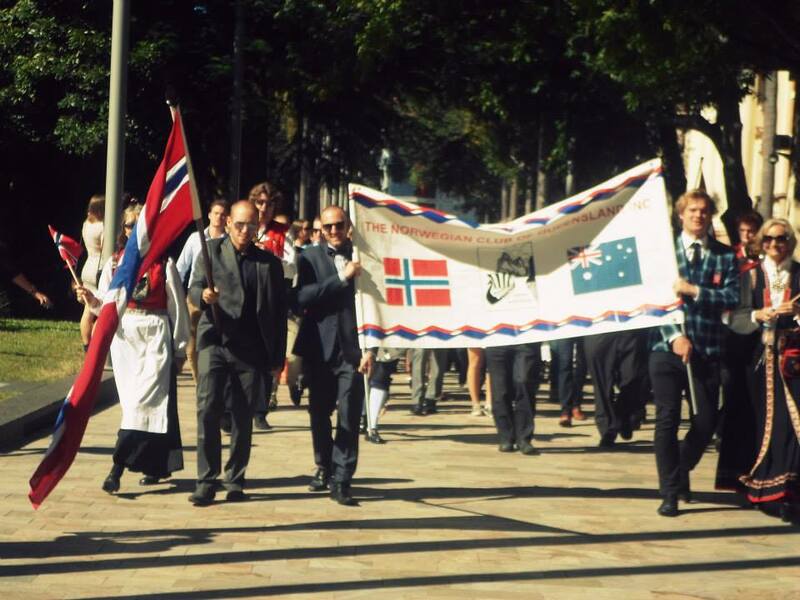 We took part in the Norwegian Club of Queensland’s parade in the middle of the city but Sara and Vilde reminded us that, had we been in Norway, we would be spectators. I felt very special walking with Sara, Vilde, and our friends from all over the world, not to mention all the other beautiful Norwegians living in Brisbane. Everyone proudly cheered and sang as the police blocked off the streets for us to pay tribute on this very significant day in Norway nearly two centuries ago. 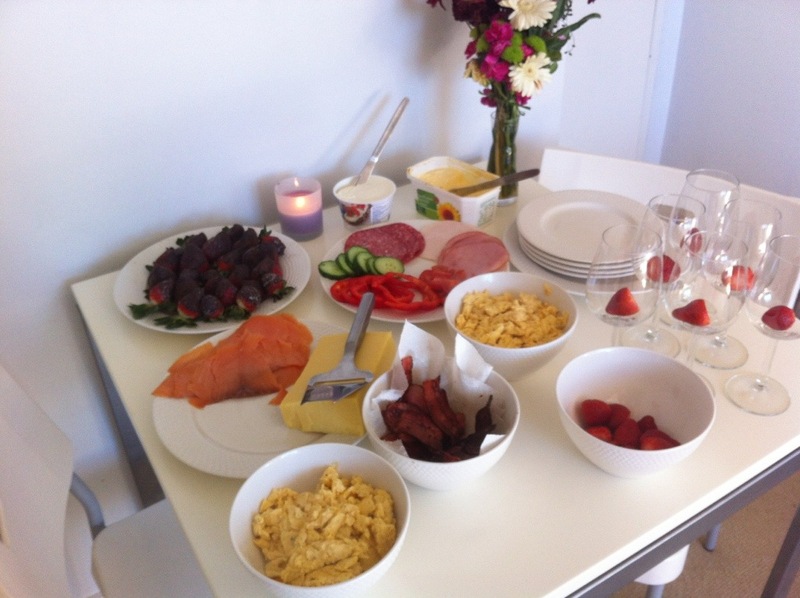 Sara and Vilde invited us over for a Norwegian breakfast with salmon, eggs, bacon, cream cheese, strawberries, bagels, and more! Listening to them share stories from when they were children and how we had to visit in May was delightful. They also taught us a cheer that was echoed throughout the entire day… “Hipp, hipp, hurra!” Thank goodness they did because as soon as we arrived for the parade, the chanting started and we fit right in with everyone else. 🙂 I was able to share with them that my oldest sister, Cindi and her husband, Hai were married on the same day so now May 17th has two special meanings to me. Norwegian waffle with jam and brown cheese! 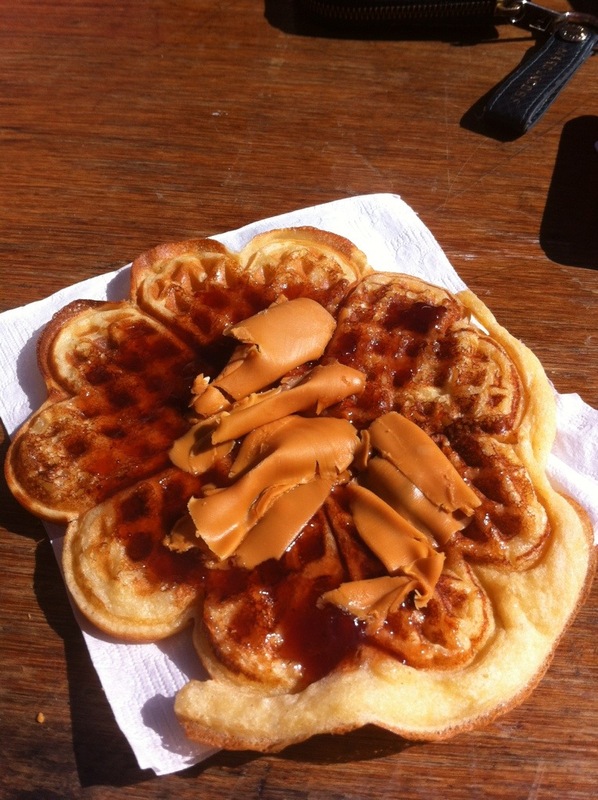 After the parade concluded, we came back to the QUT campus and had Norwegian waffles with jam and brunost (brown cheese)! I am the biggest fan of brown cheese. It is made by boiling milk, cream, and whey together until the water evaporates. The heat turns the milk sugar into caramel, which gives the cheese its brown color and sweet taste. No wonder I love it so much. Do yourself a favor and find some brown cheese and then send me some. Celebrating with our amazing friends! SKAL! Cultural exchange is one of the best gifts in the world. When listening to someone share about his or her culture and customs, stereotypes break down and cultural understanding really begins. I loved taking in all the festivities and observing the day. Watching the children in their traditional outfits was more than precious. The weather was perfect and sunny as Norwegian music played over the lively crowd. Thank you Sara and Vilde, my Norwegian princesses for sharing your special day with me.